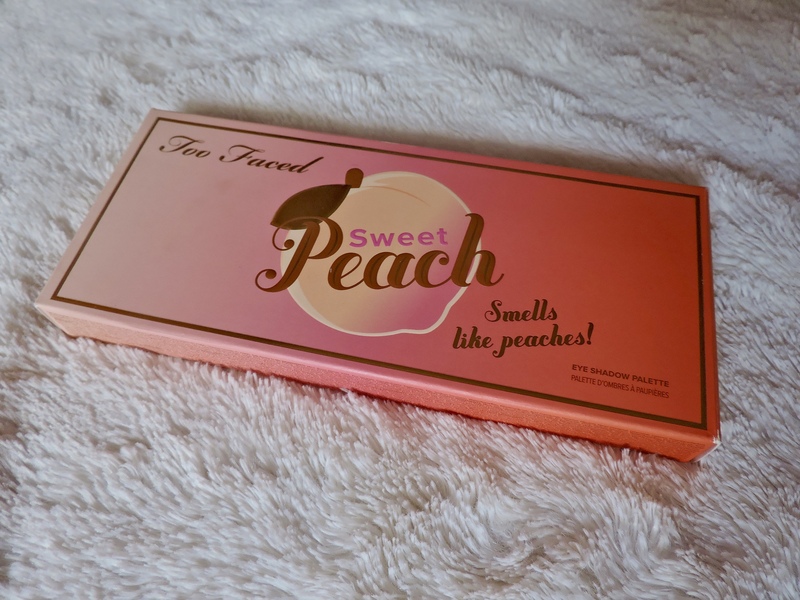 I am sure that most of you have seen the Too Faced Sweet Peach Palette all over your social media, as everyone has been going crazy for it. I was really debating whether to get it or not, as there were mixed reviews about the palette. However, I decided to get it and I am so happy that I did! I am completely obsessed with everything about this palette, from the design of the packaging, to the scent of the palette and the beautiful colours inside. 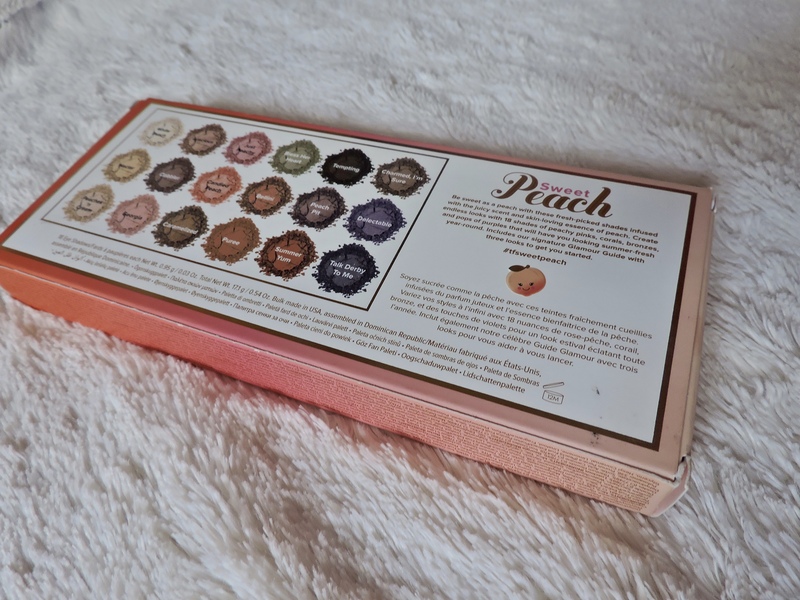 The design of the palette is stunning, it is peachy ombre with uprisen peaches and it has magnetic closure. You know this palette is not getting damaged for anything! it has a big mirror inside of it aswell, which I really appreciate! Now, on to the SMELL of the palette! yes the smell! 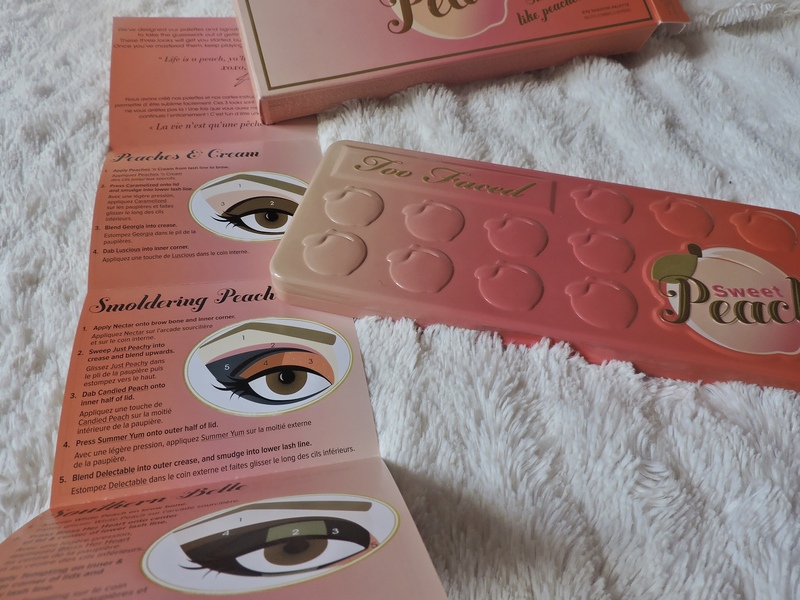 Too Faced, ALWAYS get it right with the smell of their products! they definitely got the scent of this palette just perfect! 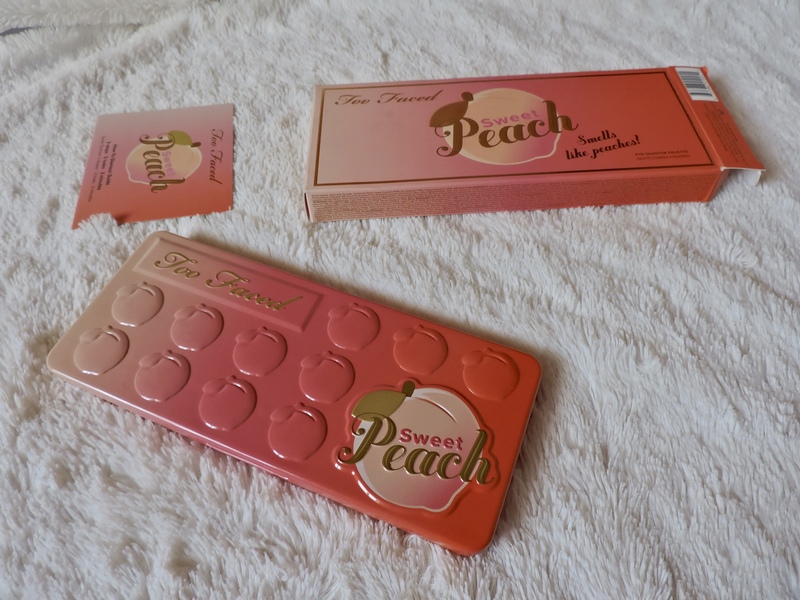 every time I open the palette I am ready to be hit with the smell of peaches and from already using this palette, I can officially say that I still get whiffs of peach throughout the day! 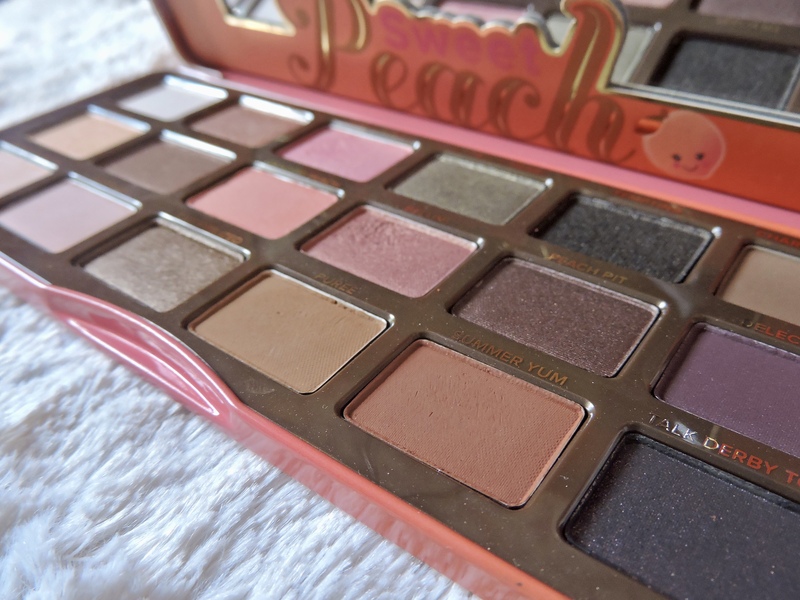 There are 18 shades in this palette with a mixture of mattes and shimmer shades. In the palette there are peachy shades, corals, bronze, a green shade and purple shades to add a pop of colour to the palette. Personally, I think you can get a lot of beautiful eyeshadow looks with this palette. You have the darker colours if you want to do a bit of a smokey eye, you have the shimmer colours if you want to add some glitter to your eye look and you also have nice transition colours. 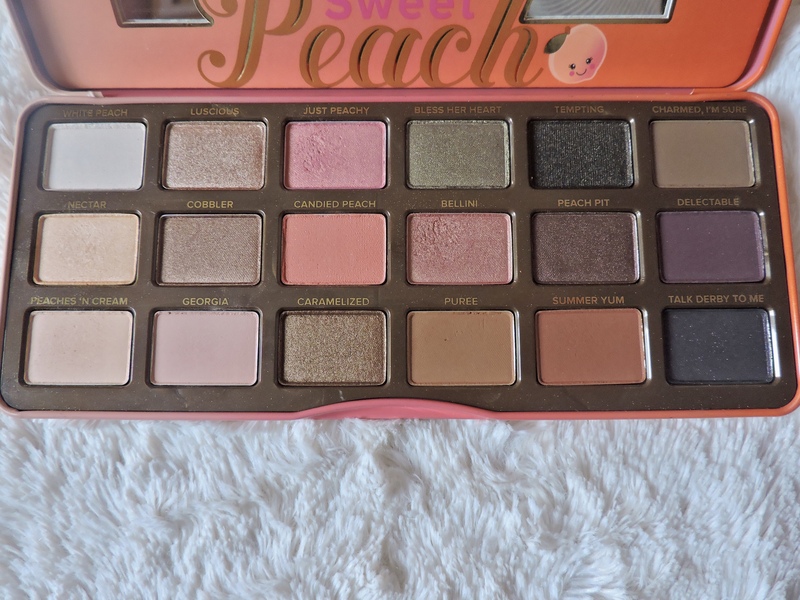 The only thing about this palette I don’t really understand is the purples in the palette, because do they even have relevance to peaches? therefore, I think they could have been replaced with more peachy/coral colour as this is a peach palette. I also don’t really understand the name of the last shade ‘Talk Derby To Me’, but this could just be me. The many colours inside the palette are colours that can be used for every skin tone and every eye colour. Inside you get a step by step guide of how to do three eyeshadow looks. Left side to the right, first 2 rows. Bottom of the arm going up- White Peach, Nectar, Peaches ‘N Cream, Luscious, Cobbler and Georgia. These colours are the lighter shades in the palette. The first three colours on the first row can all be used as a good base shade, as they are all really light colours which allow you to build colours over the top. I have absolutely been loving Peaches ‘N Cream as a base colour, even though it does appear really sheer on my arm. I like to use Nectar in the corner of my eyes and under my brow bone as it is a really nice highlighting colour. Luscious is a really beautiful colour and you can see on the swatch that it is really pigmented, where it looks like a cream shade. 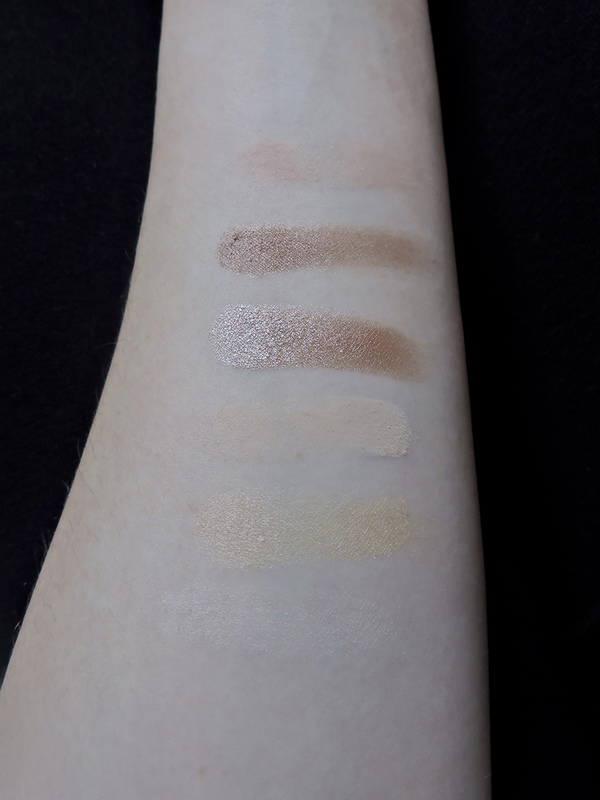 There so a couple of shades in this palette with the same consistency that look like a cream shadow. Just Peachy, Candied Peach, Caramelized, Bless Her Heart, Bellini and Puree. This is the part in the palette that starts to get a bit darker and more colours. I LOVE LOVE LOVE THE SHADES Just Peachy, Candied Peach and Bellini! you can create such a lovely look with all three of these colours. Bellini is honestly such a stunning colour, it’s a mixture of pink and coral and has a lovely shimmer to it. Just Peachy has a really nice pink metallic colour to it, especially when you look at it in the light. Candied Peach is a lovely coral pink colour that has gold glitter inside, perfect if you want a matte colour with a bit of glitter. I haven’t tried Bless Her Heart yet, but I cant wait to create a khaki eye look. Puree is a burnt orange colour and I find it to be good a good transition colour. I use it in the crease as it just adds more depth. I really like this colour and have used it a lot since buying this palette. Tempting, Peach Pit, Summer Yum, Charmed, I’m Sure, Delectable and Talk Derby to me. This part of the palette is where the shadows start to get darker. 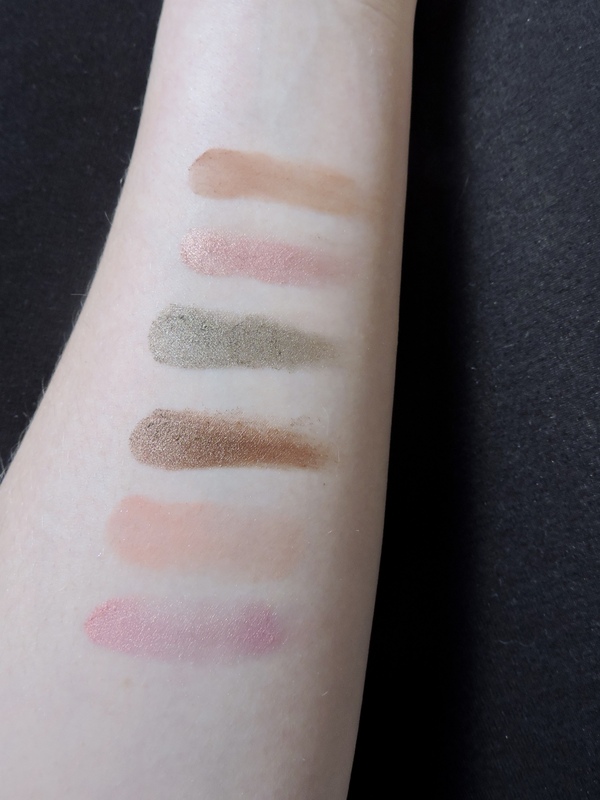 The only colours I have used from the last two rows are Summer Yum and Charmed I’m Sure as they are both matte browns and again they are good transition shades, ALSO because I am a fan of brown shadows! Summer Yum is a similar colour to Puree, only darker. Tempting is a black metallic colour, I think this and the last colour Talk Derby to Me, would be really nice to use for a going out look, maybe doing a smokey eye. The last shade in the palette ‘Talk Derby to me’ is a really beautiful dark purple/navy colour and it has gold glitter inside. 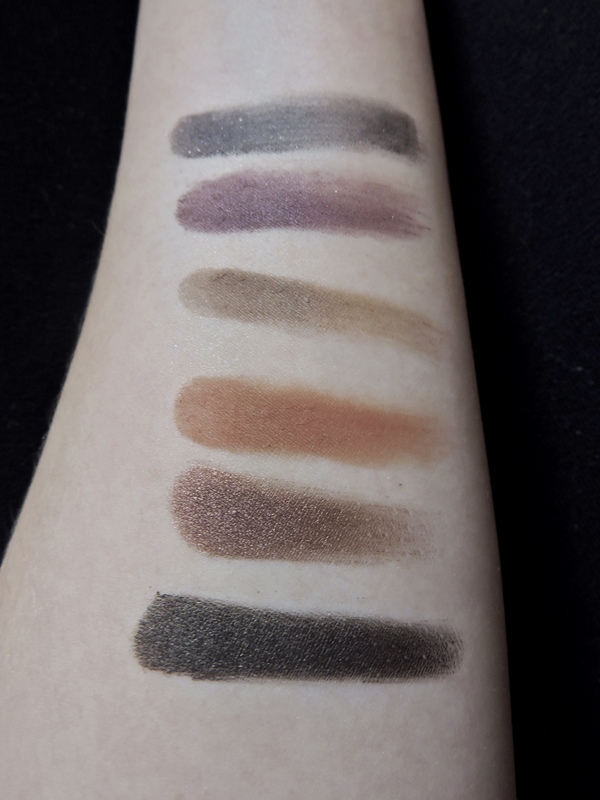 Some of these colours I feel like are going to be hard to use in an eyeshadow look but I am prepared to try to create eye looks with these colours. 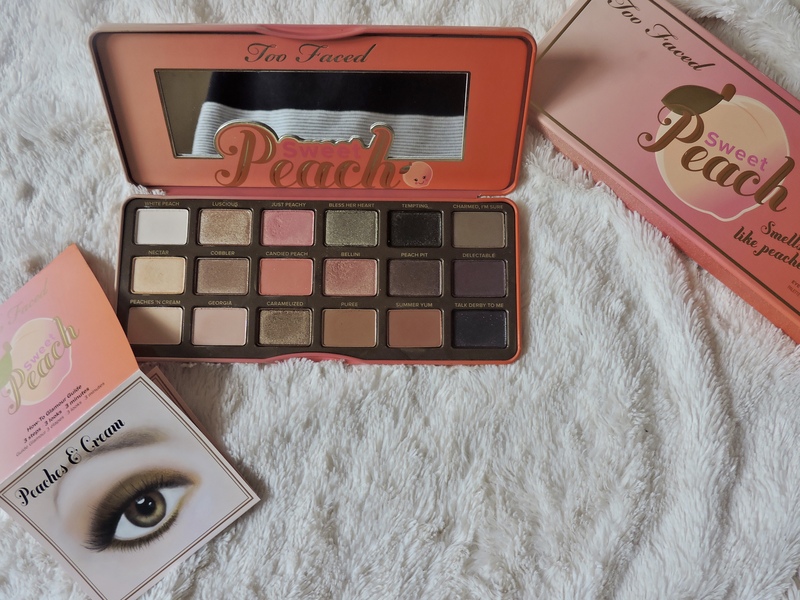 The palette is very beautiful and if you are willing to spend £39 then I definitely would buy it as you are guaranteed to get many uses out of it. 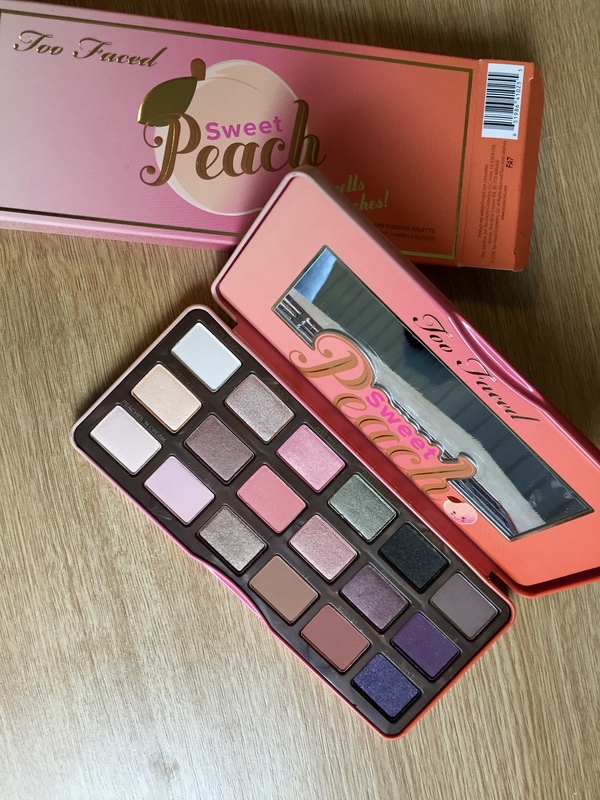 There is something for everything with this palette and personally I couldn’t go without not buying it, now that I have it. 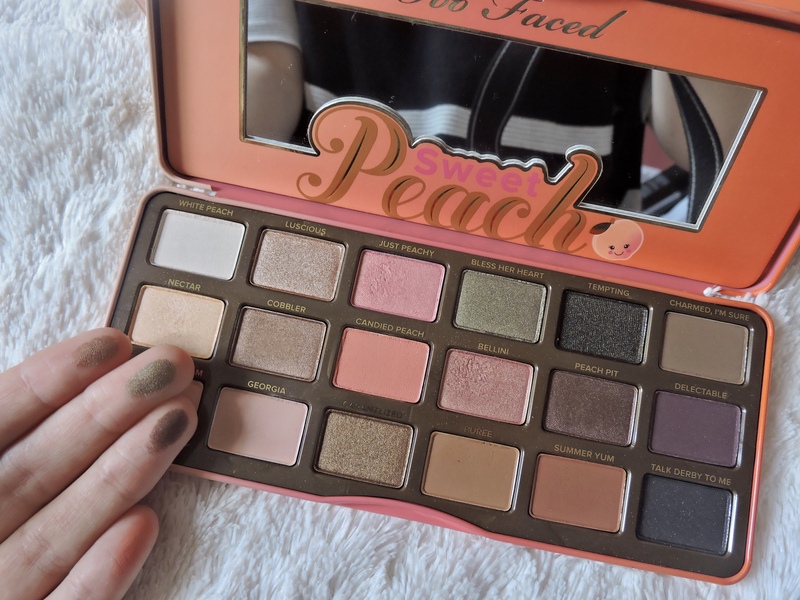 I already know that as soon as I hit pan with this palette I am going to be heartbroken 🙁 If you aren’t a fan of this palette or even the smell of peaches, then maybe check out their website and look at the other eyeshadow palettes that they do. They do a couple of palettes that are scented! Reblogged this on everything beauty and glam. I love this palette!! Fabulous pictures. I am going out on a limb here but “Talk Derby to Me’ I think is a reference to the Kentucky Derby and since all of our best peaches come from the south it seems to keep with the theme? But I could be totally wrong too 🙂 Agree with you on the purples too, unsure of why they were included…ah well. I absolutely love this palette! It’s one of my most used ones. 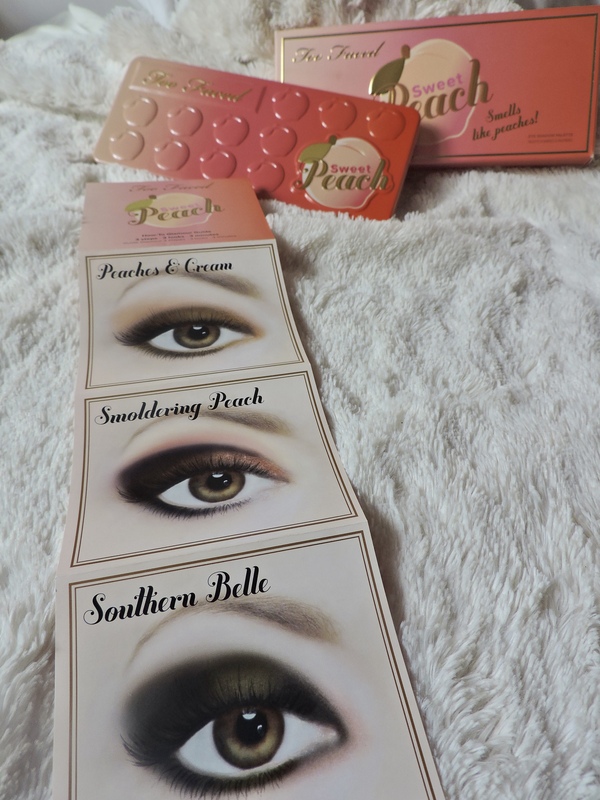 The peachy shades are definitely my favorites. I don’t use the purples, though. This palette is on my wishlist and now I want it even more!!! A wonderful job. Super helpful intoimafron.